Summer in Maine defines coastal living. Wood-siding summer homes in nautical colors along miles of beaches begging for you to stroll and dig your toes in the sand, examine shells and driftwood, inhale the cool Atlantic breezes, walk the dog among sandy dunes, and of course, enjoy the sea. 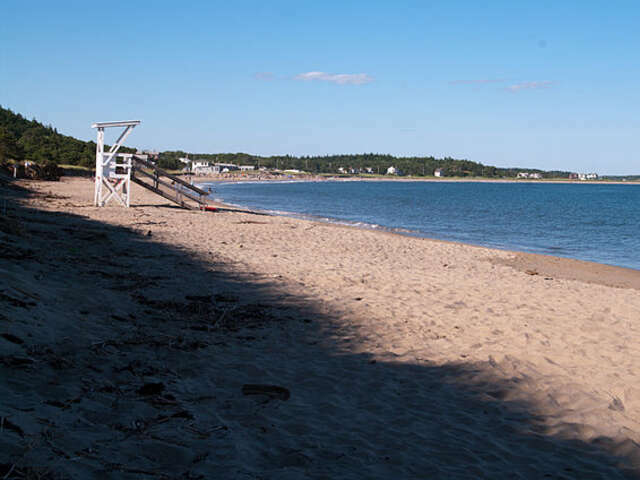 Maine is blessed with some of the most beautiful beaches in the US, and by mid-summer, they've warmed up enough to beckon swimmers off the sand and into the waves. Here are five beaches you just can't miss on a trip to New England. Start with this seven-mile strand that has been welcoming visitors for over 170 years. It has the only beachfront amusement park in New England. 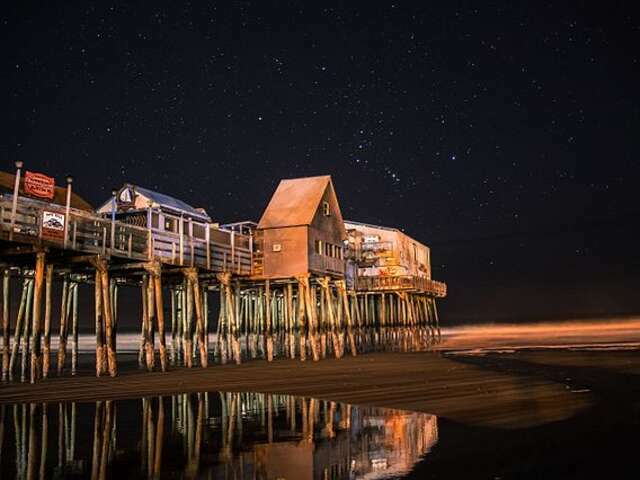 You can even reach Old Orchard Beach aboard the Amtrak Downeaster, which stops just steps away from the beach. The 500-foot classic pier is a powerhouse of family entertainment with shopping, arcades, dining, nightlife and concerts and even fireworks! It's also the point of departure for fishing, whale watching, and birdwatching tours. For those seeking a little more tranquility, Scarborough Beach State Park has waves that attract local surfers and a wide beach that's ideal for families. Scarborough Beach offers some of the best swimming in New England with water temps in the high 60's through out July and August. 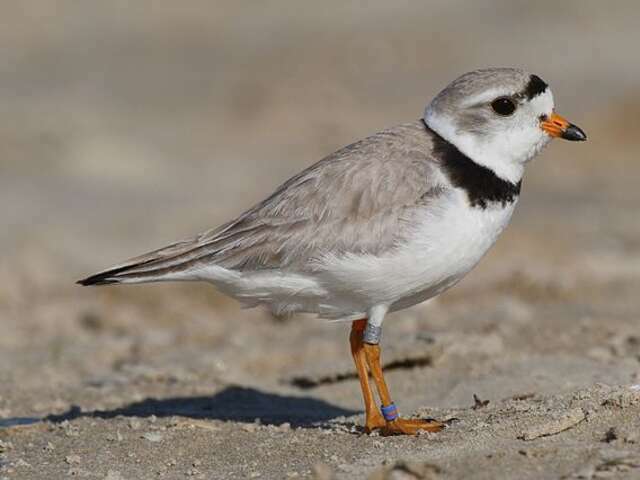 It's also the nesting grounds of endangered Piping Plovers; visitors help protect them by following bans on dogs, bikes and kite flying April through November. This beach (pictured top) is ranked among the top beaches in the United States, great for swimming, bodysurfing, and searching for shells and driftwood. It's a 3 ½ mile peninsula of sandy beach and grassy dunes; a natural barrier between the Atlantic Ocean and the Ogunquit River. (There's a footbridge across the river at the midsection of the beach). You can rent chairs, umbrellas and floats, launch a small boat at the boat ramp, and stroll along Marginal Way, a mile-long cliff walk that extends along the ocean, and pass Marginal Way Lighthouse en route. The picturesquely-named beach at Kennebunkport is a wide beach with three miles of soft sand and moderate surf. A barrier reef offshore known as Goose Rocks, visible at low tide, helps protect the soft, white sands of the beach. This is a perfect spot for you to spread out the beach blankets, chairs and umbrellas for a fun day of sunbathing, relaxing, swimming and combing the shore for sand dollars. An ideal relaxed family day at the beach. Finally, Popham Beach is a wilder beach in Midcoast Maine. It's part of Popham Beach State Park, one of Maine's rare geologic landforms. The Kennebec and Morse rivers border each end of the long stretch of sandy beach. From the beach, you can see offshore islands, such as Fox and Wood Islands, where you can explore at low tide. You can even get a geologic tour of the beach.